Bushes and shrubs are integrated into most lawns to keep them looking full, adding color and dimension, and to enhance vibrancy and variation amongst the plants. However, when bushes and shrubs are not well-maintained, they can easily overgrow and appear disheveled and messy. Bush and shrub care help them looking trimmed and shaped to avoid spilling over onto other plants or making your garden look less than welcoming. 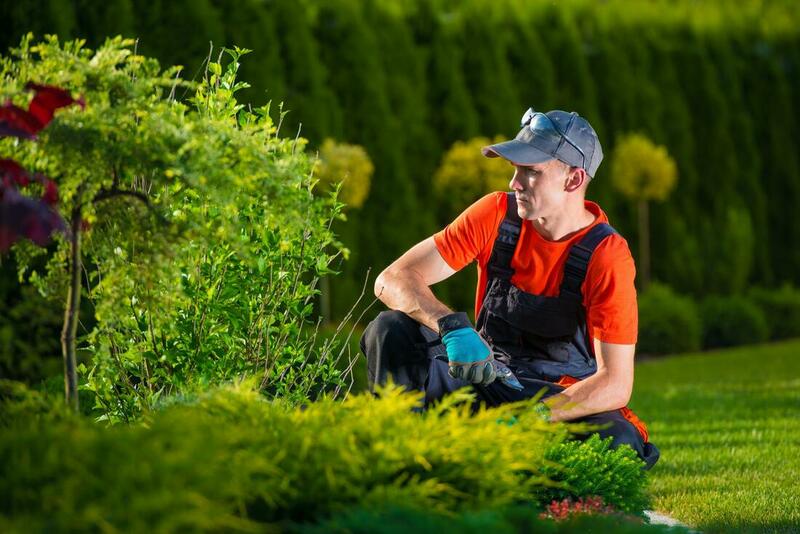 Depending on the type of bush and shrub, you might find yourself paying extra attention to their maintenance. Most have a tendency to grow rather quickly and can grow out of shape easily. It is important to keep the branches trimmed to avoid leaves and flowers from piling or spilling out of form. Bushes and shrubs also require access to water, healthy soil, and sunlight to ensure their color is the same throughout. If a bush or shrub lacks access to one of the above, you might notice it browning more than the others, which can ultimately be off-putting. Bushes and shrubs have a unique appearance that differentiates them from standard flower plants or trees. They are usually smaller and shorter in size, wider, and contain more woody branches that hold leaves or flowers. However, their appearance can easily be altered to fit the aesthetic that you desire for your lawn. Many bushes and shrubs are trimmed into shapes or planted in areas where there is significant spacing, as they easily help to fill in the area. Bushes and shrubs can also be used for hedging, which is a landscaping technique used to build a plant-based demarcation in and around your lawn or property. It can sometimes be hard to distinguish whether or not you have a bush or shrub. Bushes tend to be a bit smaller and denser with their branches, flowers, and stems. Bushes can be found in the wild or planted in your home and typically serve to complement gardens, patios, and outdoor areas. Bushes can come in an array of colors which make them perfect for those that want a particular color scheme to their lawn or just an added variety. When caring for and trimming bushes, we are always very gentle with bushes that have flowers, as we want to be able to groom the bushes without harming the flowers. Unlike bushes, shrubs may be taller but not to the extent of a tree. They can contain longer branches which make it easier to shape and groom them into desired patterns. Shrubs are often used for hedging as they are sturdy and dense with branches and leaves. Shrubs can also be thicker, which makes them perfect for landscape hedging or for other structural purposes around the lawn, such as lining a garden bed, walkway, porch, or even around the mailbox. Shrubs may not have the same color variations as bushes, but they serve alternative purposes that can bring brightness and more greenery to your lawn’s overall appearance.